Intergovernmental Meeting of Experts (category II) related to a draft Recommendation on the Protection and Promotion of Museums, their Diversity and their Role in Society, Paris, UNESCO Headquarters, 27-28 May 2015, Room II. Preface: The Recommendation concerning the Protection and Promotion of Museums and Collections, their Diversity and their Role in Society (2015) was adopted by the General Conference at its 38th Session of UNESCO, Paris, 17 November 2015. The growing role of museums around the world has stimulated a debate concerning the adequacy of the existing legal instruments for the protection and promotion of museums and collections. At the request of the General Conference at its 36th Session, an international experts meeting was convened by UNESCO in July 2012, in Rio de Janeiro, Brazil, in consultation with the International Council of Museums (ICOM) and the Brazilian Institute of Museums (IBRAM), with the purpose of conducting an assessment of the range of possible modalities for the protection and promotion of museums and collections in times of war and in times of peace. The elaboration of the Recommendation, formally adopted by the 38th session of the General Conference on 17 November 2015, originated from the desire to supplement and extend the application of standards and principles laid down in existing international instruments referring to the place of museums, and to their related roles and responsibilities. An issue that was increasingly called for, noting especially that the last international instrument wholly dedicated to museums dates to 1960. Following the preparatory phase which included an expert assessment meeting in Rio de Janeiro in 2012 and after a series of Executive Board resolutions and General Conference Decisions (see detailed chronology and history below), 2013 saw the Member States inviting the Director-General to elaborate a preliminary text of a new non-binding standard-setting instrument, in the form of a recommendation, and to submit the text at its 38th session in November 2015 for its possible adoption. On the basis of comments received from Member States, UNESCO, in close cooperation with the International Council of Museums (ICOM), prepared a final report containing the draft Recommendation which was transmitted to Member States by the Director-General (CL/4101) on 3 April 2015. This report and accompanying draft were examined at the intergovernmental meeting of experts (category II) at UNESCO Headquarters on 27 and 28 May 2015 and a final draft text of the Recommendation was adopted on 28 May 2015 to be submitted for adoption by the 38th session of the General Conference. On 17 November 2015, the UNESCO General Conference, meeting in Paris, adopted the text of a new standard-setting instrument on the Protection and Promotion of Museums and Collections, their Diversity and their Role in Society. 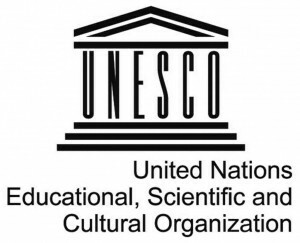 ICOM is currently working closely with UNESCO to draft a recommendation to protect and promote museums and to encourage appreciation of their diversity and their vital role in society. This joint commitment to establish standards and principles that will assert the roles and responsibilities of museums and their place in society first saw light in 2012, during an international meeting of experts organised by UNESCO in collaboration with ICOM and IBRAM in Rio de Janeiro, Brazil. The recommendation takes as its first principle that museums share a number of missions, such as the dissemination of culture and education and working towards justice, freedom and peace. They particularly contribute to establishing a moral and intellectual solidarity among the public, and to ensuring equal access to education for all. Considering the demographic, technological and environmental changes taking place around the world that affect societies and their relationships with nature, culture and heritage, this recommendation sets the protection and promotion of cultural and natural diversity as a major challenge of the 21st century. Museums, tasked with the role of protecting the tangible and intangible heritage of human cultures, have become increasingly popular institutions around the world, notably in the second half of the 20thcentury. Given that museums are spaces of cultural transmission, apprenticeship, discussion and training, they play a key role in education, social cohesion and sustainable development. Beyond their role in engaging and being accessible to the entire public, they also contribute to economic development, particularly through tourism and the cultural and creative industries. In line with the professional standards disseminated by ICOM, this recommendation will clarify the role of museums. It will also highlight the importance of their protection and promotion, allowing them to fully contribute to sustainable development and intercultural dialogue, notably by safeguarding and educating the public about cultural diversity and heritage. An intergovernmental expert meeting devoted to consideration of the draft recommendation was held in the UNESCO headquarters on 27 and 28 May, 2015. This meeting concluded the recommendation project and submitted it for discussion and possible adoption at the UNESCO General Conference during its 38th session in september 2015. Since 1960, this is the only international and normative instrument that has been completely devoted to museums. This tool has been long awaited by the international museum community. By taking this step, UNESCO Member States have agreed on setting and implementing a set of global guidelines for the protection and promotion of museums and collections, which is to become the cornerstone of international museum policies. The adoption of this new Recommendation reflects the international community’s strong commitment to assisting museums in fulfilling their roles in contemporary society to promote sustainable development and intercultural dialogue. They are one of the most prominent institutions for safeguarding heritage in its all forms, thus contributing to many of UNESCO’s fundamental missions. The elaboration of the Recommendation originated from the desire to supplement and extend the application of standards and principles laid down in existing international instruments referring to the place of museums, and to their related roles and responsibilities. An issue that was increasingly called for, noting especially that the last international instrument wholly dedicated to museums dated to 1960. The process, initiated in 2011, has involved several preliminary reports and debates, and has been supported by the financial contribution from UNESCO Member States, namely Brazil, the Philippines, and the Czech Republic. As previously reported, an Expert Meeting was held at UNESCO Headquarters last May, attended by ASEMUS Chair Fionnuala Croke. Member States have agreed on setting and implementing a set of global guidelines for the protection and promotion of museums and collections, which is to become the cornerstone of international museum policies. 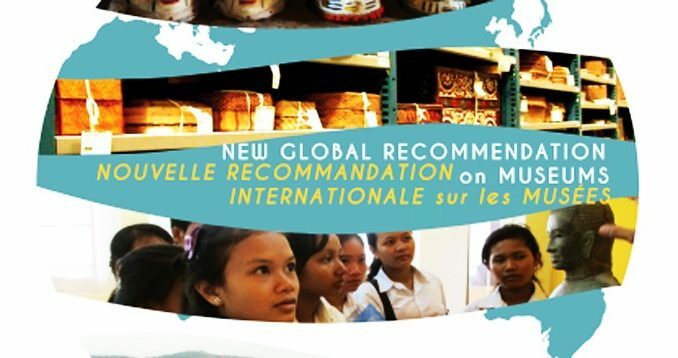 The adoption of this new recommendation reflects the international community’s strong commitment to assisting museums in fulfilling their roles in contemporary society to promote sustainable development and intercultural dialogue. They are one of the most prominent institutions for safeguarding heritage in its all forms, thus contributing to many of the Organization’s fundamental missions. The elaboration of the Recommendation was supported by the financial contribution from Member States, namely Brazil, the Philippines, and the Czech Republic. It is worth recalling that the ZHIZHENG Art Museum (in Chinese: 至正艺术博物馆) in Shenzhen City of China will partner with UNESCO to create a High-Level Forum on museums and to support the implementation and promotion of the Recommendation, as well as other museum-related activities. ZHIZHENG Art Museum (in Chinese: 至正艺术博物馆), who signed for the cooperation, was a vice-chairman unit of UNESCO World Museum strategic alliance, which was composed with more than 100 world-class museums from worldwide countries and regions; ZHIZHENG Art Museum Museum was the sole representative body of China to participate UNESCO strategic partner. The ZHIZHENG Art Museum was currently holding more than 10,000 pieces of collection, fine collection of nearly 3000, with valuation of several hundred million Yuan, is the largest private museum with collection of paintings and folk heritage all over China. 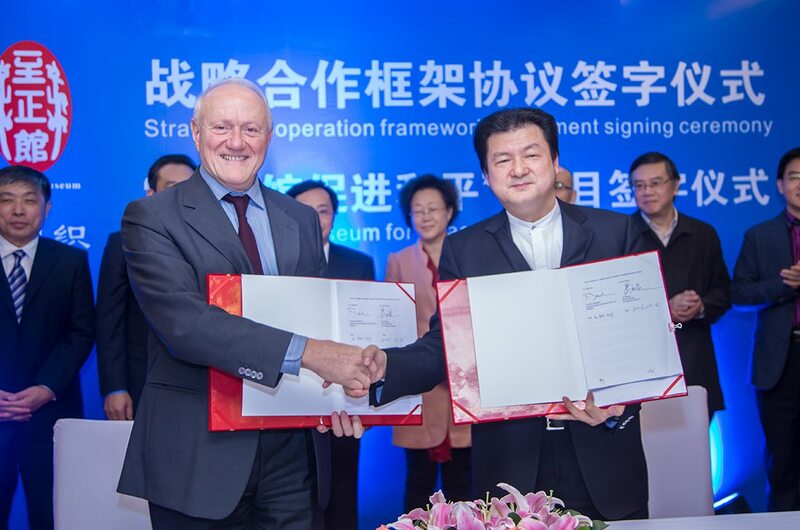 On 17 November 2015, Wu Fuqing, the curator of Shenzhen ZHIZHENG Art Museum, signed a strategic cooperation framework agreement with Francisco Ban Delin, the Assistant Director-General of UNESCO in Shenzhen, which aimed to promote museums industry truly become culture tool of sustainable development and peace for China and the world. It was reported that the cooperation was the first time for UNESCO to cooperate with Chinese private museum institutions, which was a milestone for promoting cultural industries development of Shenzhen and the Mainland. Before the signing ceremony, Ma Xingrui, deputy secretary of the Guangdong Provincial Committee, Secretary of Shenzhen Municipal Committee, and Guo Yonghang, Member of the Standing Committee and Secretary-General of Shenzhen Municipal Party Committee, met with Ban Delin delegation. Ban Delin said that museum project had been an important part of UNESCO’s cultural programs, museums had been in the center position for dissemination, protection, study and reflection for knowledge of world’s heritage and culture. Dramatic changes occurred in the world museum in the past 40 years. He believed that China, with the remarkable development of museum industry over the years, was the most active participants in the global museum industry. According to statistics, the total number of Chinese museum had reached 4510 by the end of 2014. By 2020, China would grow to every 25 million people had one museum, China had become the world’s largest museum country, both speed of the construction and development, as well as the stock area. According to the agreement, two parties would work together to establish strategic cooperative partnership by strengthening and promoting international cooperation among museums in the world, setting up a special cooperation fund to support UNESCO worldwide museums industry , including to support UNESCO’s drafting and developing a new World Museums Enterprises Recommendations file in related with protecting and promoting the world’s museums and collections, and to support the establishment of a high-level Council Forum of the World Museum. It is worth mentioning that in next five years,meetings associated to UNESC High-level International Museum Team,the High Council Forum of the World Museum and celebrations related to ‘World Museum Day‘ are will be held in Shenzhen, to achieve the commitments signed by both parties, which is to promote the strategic objectives of peace museums, by raising the museum an important role playing in cultural and sustainable development . For the global strategic cooperation with UNESCO in the field of museums, UNESCO is the world’s largest international cultural organizations, as a Chinese private museum, to cooperate with the United Nations specialized agency is my privilege of a lifetime,Wu Fuqing said. He hoped to work together with colleagues of domestic museum industry to fully make good use of this collaboration platform to help more Chinese museums and fine art collections to ‘Go abroad’ and to ‘Invite’ the fine management experience and outstanding collections the of the world museum community, deepening international cooperation for the benefit of the country’s museum enthusiasts in Shenzhen, Guangdong and even China. The General Conference at its 38th Session of UNESCO, Paris, 17 November 2015. An issue that is increasingly called for, noting especially that the only international instrument wholly dedicated to museums dates to the 1960 Recommendation concerning the Most Effective Means of Rendering Museums Accessible to Everyone. Since 1960, this is the only international and normative instrument that has been completely devoted to museums. The recommendation originates from the desire to supplement and extend the application of standards and principles laid down in existing international instruments referring to the place of museums, and to their related roles and responsibilities. The proposed amendments submitted are listed below according to Member State, in alphabetical order and original language.